welcome to the abuzz for honey bees website. Please visit The "Resources" page for all honey bee lesson plan materials and references. The mission of Abuzz for Honey Bees (AHB) is to raise community awareness about the importance of honey bees, why they are dying, and how YOU can help. 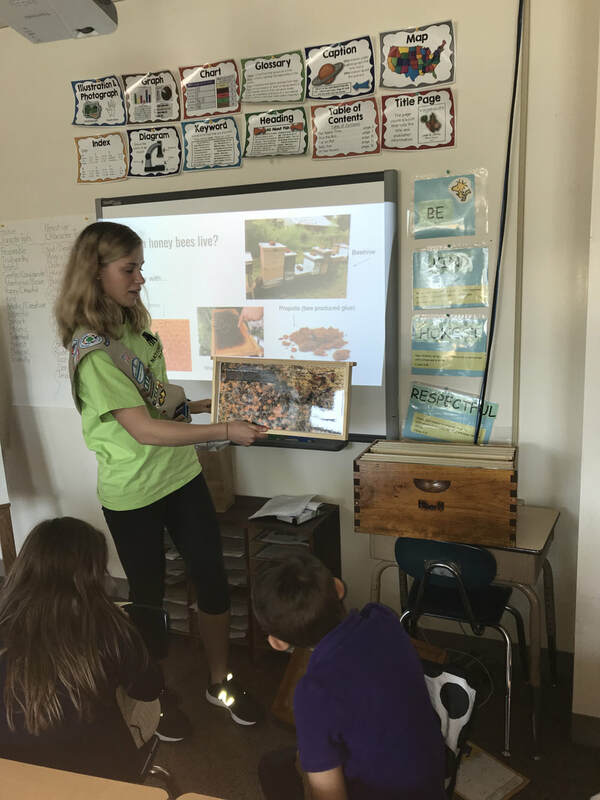 It's main focus is educating elementary school students, teachers, other educators and parents about honey bee conservation through a fun, interactive, and educator-friendly curriculum. After all, elementary school students are the next generation of beekeepers and conservationists. The educational efforts of AHB are made possible through its many community partners. These community partners allow many people to access the AHB curriculum and carry out AHB's mission. The Abuzz for Honey Bees curriculum consists of two, 2 hour lessons, and it is designed for a 2nd-3rd grade audience. 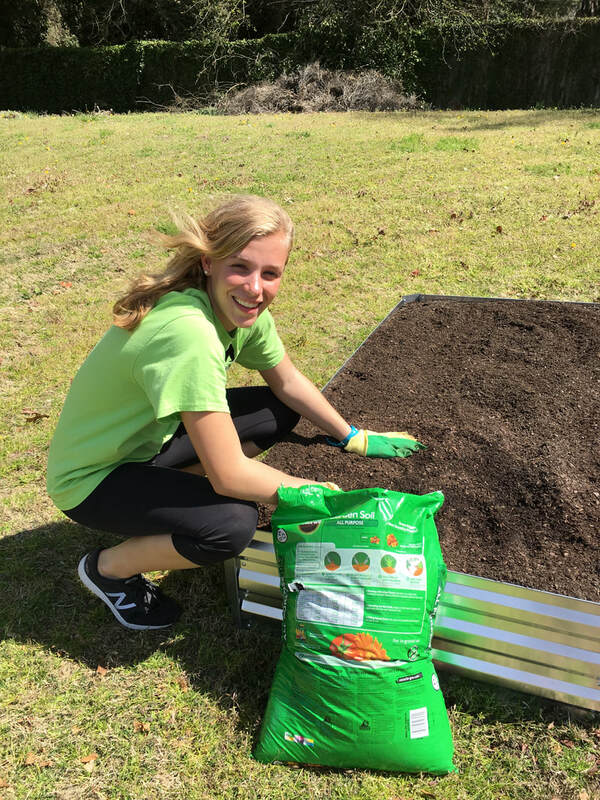 According to teachers at Norfolk Christian's Lower School, it is an ideal supplement to the study of habitats, interaction between plants and animals, animal adaptation, etc. Each lesson plan (referred to as "instructional guides") is filled with extensive background information, so anyone can use the curriculum: even if they don't know anything about honey bees. The AHB curriculum uses colorful power-points and guiding questions in order to promote an active learning discussion versus a dictation. Every discussion takes a maximum of 20 minutes due to the innate squirming of 2nd and 3rd graders. The curriculum also includes fun games, crafts, and other activities in order to reinforce what the students learn during the discussions. On day 1 students will learn about the role of honey bees as pollinators, honey bee importance, and honey bee conservation. all instructional guides have built in background information to make for quick reference. on day 2 students will learn about honey bee anatomy, the teamwork of the colony, and how honey bees make honey. Installing a pollinator garden is a major focus of our program. Pollinator gardens provide a variety of nectar and pollen sources for honey bees and other pollinators. Why are honey bees important? Honey bees are responsible for pollinating one out of every 3 bites of food we eat. Honey bees pollinate apples, mangoes, celery, strawberries, broccoli, and many other fruits and vegetables. Crop yield is significantly affected by honey bee pollination, so agriculture is dependent upon the honey bee. In fact, a 2010 Cornell University study documented that the contribution made by managed honey bees hired by U.S. crop growers amounted to over $19 billion. ​The bottom line is: we NEED honey bees to feed the world's growing population. Honey bees make more than just honey. They make beeswax, pollen, propolis, and royal jelly which have countless health, industrial, and cooking uses. Some uses include honey for seasonal allergies, pollen for protein supplements, beeswax for polishing, royal jelly for cosmetic products, propolis for soaps, and more. Our honey bees are disappearing. But WE are changing that. All lesson materials found on this website are for educational purposes only. Check out the RESOURCES page in order to check out the many references used to design the Abuzz for Honey Bees program. This website was created in 2018 by Savannah Bowers.